Why is the package price of the so-called international Hajj (organised by tour operators) higher than that of state pilgrims’ boards? And why is the VIP package of Hajj tour operators so expensive that only the men of means can afford it? Since Hajj is one of the fundamentals of Islam, why can’t we work towards low-cost pilgrimage to give as many people as possible the chance to observe this once-in-a-lifetime-obligation? Some of those who know my company would jump into the wrong conclusion that this article is about justifying the so-called high fees my company charges for its services for hajj or Umrah. Only the objective will read it with an open mind and without any preconceived notions as to what I intend. I will leave such to follow me on the journey into the heart of a tour operator’s pricing determinants. The Hajj tour operator has come to cater for the needs of those pilgrims who desire a higher standard of service than the one offered by state pilgrims’ boards. This class of pilgrims is composed of busy executives, business persons and civil servants who would want to finish their rites and return to their offices within the shortest possible time. The Hajj tour operator, therefore, who provides indistinguishable service from one offered by state pilgrims’ boards has a lot to learn in this industry. I am not saying that what the state pilgrims’ boards are offering cannot be improved upon; in fact I do not think humans should be kept in the conditions our Nigerian pilgrims are made to endure during their stay in Minaa and Arafah. It is subhuman. Operations of the state pilgrims’ boards consist of accommodating pilgrims in apartments not very close to the two Holy Mosques in Makkah and Madinah; transportation is with buses manufactured in the 1980s and ‘90s under the Car syndicate Office (niqaabah); room configuration could be up to 10 and above, the tents in Minaa are far-removed from the Jamaraat area, and pilgrims are likely to linger for some time in Saudia after the completion their Hajj rites. Some of these peculiarities are understandable bearing in mind the large number of Nigerian contingent annually for the Hajj. Certainly, state pilgrim boards’ officials should be extoled for managing over 80 thousand pilgrims every year, despite obvious challenges. I am sure there are those who see it differently, though. They point at countries like Indonesia which come to hajj with a larger population of pilgrims and yet do not have the problems we have. They are not kept in the last tents barely within the boundaries of ‘Arafah and they have clean tents in Minaa. That is true, but you have to look at the country itself, its leadership and then you will appreciate that the officials are doing a great job in spite of everything. The current leadership of Hajj regulators in Nigeria is working hard to raise the standard of the service by making feeding and Minaa/Arafaat Additional Services (Category C) of the Mu’assasah part of the Hajj package for state pilgrims’ boards. With this arrangement in 2012, Nigerian pilgrims will be closer to Jamaraat than they had ever been in the history of Hajj in this country. This arrangement means greater cost to the organisers and ultimately the pilgrims. For the aforementioned services in 2012 Hajj, state pilgrims are to pay N622, 445.05 for the lowest seat, and be entitled to $750 as basic travelling allowance (BTA); N658, 695.05 for medium seat, and receive $1000 BTA. The highest category in Hajj seat is N736, 570.05 with $1, 500 as BTA. Of course none of these categories is attainable for the very poor in our society. This is the cheapest fare for Hajj today, given what is charged by the Hajj tour operators. The average price for the international package is almost twice as this and no tour operator gives BTA to his pilgrims. Maybe in the future the industry will create this opening for the international Hajj pilgrims; they are also Nigerians, afterall. The services of the average Hajj tour operator are distinct from what is described above. His pilgrims are housed in, at least, 3 to 4 star hotels (not forgetting the fact that some of these hotels are actually 2 or less star if one compares their standard with what obtains in the First World) within reasonable distance to the Harams in Makkah and Madinah. This type of accommodation and feeding will cost each pilgrim about SR20, 000 = N800, 000 at N40 to Saudi Riyal. 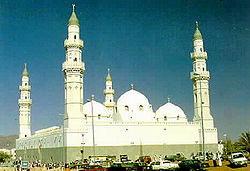 Add to that the cost of transportation, outside the transport provided by the Car Syndicate as attached to the compulsory Royalties of SR1029 (N41, 160) paid for each pilgrim but which the tour operator forfeits in order to provide better mean of transport to his hajjis during the 5 days of Hajj. On account of this, the tour operator will pay SR1, 500 (N60, 000) on behalf of each pilgrim for 2008 model of Mercedes buses provided by the Mu’assasah. He will also pay SR2, 500 (N100, 000) for each of his pilgrims for category B in Minaa/Arafaat tents of the Additional Services also provided by the Mu’assasah. As I mentioned above, even state pilgrims will be in category C tents, so, for a tour operator to give something higher his pilgrims should at least enjoy the services of a B tent. The package of each pilgrim, therefore, excluding air ticket fare and the profit margin of the Hajj tour operator, will be at least N1, 001, 160. Of course this rate will be higher or lesser subject to type of hotel, proximity to Haram, and room configuration which should not exceed 4 people in a room. For the VIP Hajj package the tour operator must keep his pilgrims in 5 star hotels within the Harams in Makkah and Madinah. Accommodating each pilgrim will cost SR40, 000 (1, 600,000). Add the Royalties SR1029 (N41, 160), and the payment of SR7, 375 (N295, 000) on behalf of each pilgrim for the Minaa/Arafaat category A tents, with the Mu’assasah. Another cost is SR500 (N20, 000) for Saudi local air ticket from Jeddah to Madinah for those pilgrims that have not got a direct flight to Madinah, and SR2000 (N80, 000) for transport in the latest model of buses with inbuilt toilets. So, the least VIP Hajj package, subject to the proximity of hotels to Haram, excluding return air tickets, will be about N2, 036, 160. As stated earlier this cost does not include profit margin and other incidentals as are bound to occur in Hajj operations. Unfortunately, some tour operators will not do their homework. They just copy what others publish on their brochure, reduce the rate by certain percentage without knowledge and try to market that. Such tour operators find themselves in trouble where they discover that what they collect from the pilgrim is insufficient for the services they promise to provide. Hajj services are dependent upon a number of factors the bulk of which are in Saudi Arabia where the rites are observed. Hajj is unique. Only in Hajj will 3 million people or more gather in the same place, at the same time, for the same purpose and doing the same thing. Those pilgrims who question why the rates of hotels are exorbitant in Saudia, why the tour operator subjects them to strict cancellation policies and why they cannot pay for Hajj package when they please have missed the point completely. Hilton Makkah for example has more revenue than any other Hilton Hotel around the world. The same could be said of other hotels like Intercontinental, Mövenpick, etc. Nothing explains this other than the fact that they happened to be situated in the territory of pilgrimage rites, Makkah, right in front of the most frequented building; the Masjidul Haraam (Sacred Mosque). So, pilgrims should not expect a uniform rate and cancellation policy in a hotel in Makkah because they are used to the services of similar name in London, America, Germany, etc. There is nothing hidden in the facts mentioned in this piece. You can make your own calculations by asking the hotels and other service providers in Makkah and Madinah. Unless the current demolition of structures around Haram is followed by construction of many more hotels, the price for Hajj packages will continue to rise. It is apparent, from what I have stated here, the very poor cannot perform Hajj even with state pilgrims’ arrangement which is now the cheapest, and the hotels around Haram are reserved only for the super-rich on the so called VIP Hajj packages. But, alhamdulillah, Allah has made Hajj obligatory only on those who can afford it. To be frank, Hajj, as it is organised currently, is not cheap. The cheapest you get which I have mentioned above is the government’s way of helping out. If you have to pay what is truly the price of a decent room in a decent hotel near the haram and get decent tents in both Minaa and ‘Arafaat, you must cough out a fortune. Those services are not the types we are used to back home; they are in a league of their own. I am amazed yearly by the level of expertise the hoteliers have reached in managing millions of clients yearly. They seem to have an inexhaustible store of human and material resources to cater to the needs of the pilgrims. There are many Nigerians on whom this reality is lost. They insist on being pampered and display tantrums like children when they cannot have their way. They forget entirely what brought them to the Holy Land and they seem not to remember that the tour operator merely procures the services of the Saudi service providers on their behalf. He has very little control on how big your room will be; how much of the Ka’abah you can see from your window or how nice the hotel staff will be. If Allah had made hajj compulsory on all, regardless of your purse, it would have become a huge problem that so many are unable to find the means to be on hajj yearly. To begin with, the Saudi government gives Nigeria just 95,000 slots every year. That means in a country of at least 80 million Muslims, only 95,000 make the cut yearly! That includes repeat pilgrims who have been doing the pilgrimage yearly since they were children. Then there is the matter of finance. Allah’s messenger (and also the Qur’an) expressly stated that it is for those who are able to make the journey. This requires getting to the Holy Land and finding somewhere to lay your head at night. I have heard arguments to the effect that companies like mine are excluding the poor. I am yet to understand the logic of the argument. It is like saying people should not sell cars because some people can only afford motorcycles. There will always be those who can afford the expensive services and those who will choose something less expensive. It is simple economics; you forgo some wants to meet others. Those who pay for the cheaper packages know what they endure. And those who pay for the VIP know what they had to pay in exchange for less hassles, greater comfort and reliability. They had to make a decision on what comfort is worth to them. What would be morally wrong would be a situation where anyone feels superior to the others on account of his affluence. We are as equal as the teeth of a comb before Allah. The person who can visit all historical and Islamic place include in cheap umrah packages is luckiest because some agents are not including visits in package. Hajj process is very important for all Muslim because if we don,t know well Hajj process, we can,t go to Hajj. So if want to go Hajj we need know Hajj process. If anyone want to go to Hajj please contact us. Hajj process is very important for all Muslim people. Our prophet (SAW) advised us for go to Hajj, if we had ability. So hajj is must for us if we had ability and if we want to go to hajj , we have need a well hajj process. If we have no well hajj process , we can,t go to hajj. So if we want to go to hajj , we need a well hajj process. Umrah Package is very needed for us. If we want to go to umrah. We have very need a well umrah package. So we will found a new umrah package and then we will go to umrah and we will learn many important information about our life and we will be a honest man then all people like us. In islam is it true that if you visit the graves of your parents on a Friday? Great post! Thanks for sharing good post. Really very informative and very useful post about Hajj price. Why do you not mention Umrah price 2014 in your blog? many people are planning to buy cheap hajj packages. this travel agency give good guideline for those who are travelling first time and want to perform hajj at first time. People who wish to go on this journey would find a large number of options online. You can easily buy a umra packages over the internet. There are some websites which are run especially for enabling Muslims to go on this journey. Once you complete this journey, you would feel amazing. If possible, you should bring your family along for doing Hajj. The pilgrimage to Mecca that every Muslim is required to make at least once in his life. Hajj is the perfection of faith and true surrender to the Almighty. It is a stage in which man can develop himself spiritually. Haramayn Group is helping Hajj Travel Agents so they can enhance their business efficiency in the market that is rapidly increasing with the passage of time. Through these solutions agents are helping further their customers to get easy travel solutions for any kind of journey.